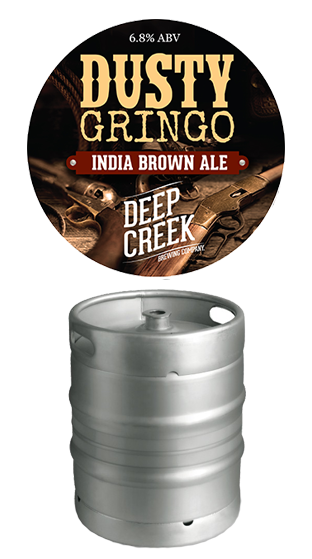 Tasting Note: Style: India Brown Ale Flavour Profile: Chocolate malt base, with lemongrass and citrus flavours and aromas. A swig of this tasty brew charges your senses with the aromas of a mountain range of malt, and a hop kick reminiscent of that trusty steed?s hoof. The floral and citrus flavours imparted from the Cascade, Amarillo and Centennial hops, ride on a powerful chocolate malt base. A strong companion to explore the badlands.